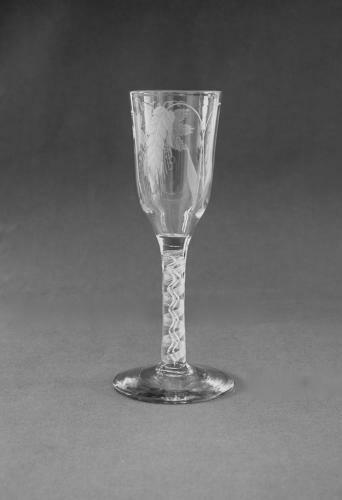 Multi spiral air twist ale glass C1760. Fine double series air twist ale glass the elongated ogee bowl engraved hops and barley. English C1760.